According to research from the National Institute of Mental Health (NIMH), roughly 5.7 million adults are affected by bipolar disorder in the U.S. each year. Of these, a striking 82.9 percent are classified as having severe disease. Among children and teens, it is believed that as many as 750,000 may fit the criteria for having either bipolar I or bipolar II disorder. Year on year, those numbers only seem to be rising. From 1994 to 2003, the number of adults diagnosed with a bipolar disorder in the U.S. doubled while the incidence among children and teens experienced a 40-fold increase. While the increases are largely the result of greater awareness among both the public and treating communities, they don’t alone explain why so many more Americans are being diagnosed as being bipolar than apparently any other place on the planet. Bipolar disorder is characterized by the abnormal cycling of moods that go well beyond the normal ups and down a person can experience in daily life. It is a debilitating condition, typified by periods of manic highs and depressive lows, which can make functioning difficult for some and next to impossible for others. As a result, bipolar disease is today responsible for more years lost to disability than all forms of cancer or any major neurologic illness including epilepsy and Alzheimer’s. Unlike these conditions, bipolar disorders tend to occur much earlier in life and can persist over the course of the lifetime in varying degrees of severity. Bipolar disorder is associated with high rates of unemployment and job-related difficulties, even among persons with college educations. While statistics vary, it believed that the rate of unemployment among persons with bipolar disorder can run anywhere from 40 to 60 percent. An analysis of epidemiological data from 1991 to 2009 concluded that the annual cost of care for people living with bipolar disorder in the U.S. is over $150 billion. Some estimates place the indirect costs (which include, among other things, lost productivity, unemployment, and disability) as being four times that amount. With the consistent rise in annual diagnoses, the U.S. appears to outpace all other countries in the percentage of people who are living or have lived with the disease. When responding to the findings, the NIMH researchers were not able to link any specific factors to these disparities other than to suggest that genetics, culture, environment, and healthcare infrastructure may play a part. What they were able to highlight were certain shortcomings in how health authorities defined the course and outcome of bipolar disorders. These definitions are at the very heart of how we diagnose bipolar disease. Any variation can result in misdiagnosis or, as some experts are starting to suggest, the growing potential for overdiagnosis. In the U.S., diagnosis of bipolar disorder is based on a set of criteria that a person must meet in order to be considered bipolar. Bipolar I disorder, for example, is defined by the occurrence of at least one manic episode, usually in an association with one or more depressive episodes. The same guidelines suggest that one episode of mania without depression may be enough to make a diagnosis so long as there are no other causes for symptoms (including substance abuse, systemic disease, neurological disorders, or other mental illnesses). As such, the diagnosis of bipolar disorder is both one of inclusion (meaning that a person must meet certain criteria) and one exclusion (meaning we must exclude all other causes before committing a definitive diagnosis). According to some in the medical community, doctors are at increasing risk of falling short in both of these categories. In 2013, researchers at the University of Texas Health Science Center in Houston conducted a critical review of seven major studies investigating the rates of overdiagnosis of bipolar disorders, primarily in outpatient populations. The lack of clinical experience in treating bipolar disorder was associated with high rates of false positive diagnoses. Practitioners in substance abuse centers were often quick to diagnose bipolar disorder in their clients. Bipolar disorder was overly diagnosed in children who had few of the defining symptoms of the disease (mood swings, grandiosity, elated mood, hypersexuality, flights of ideas, decreased need for sleep) or a strong family history. Shortcomings were noted in the diagnostic guidelines issued by the American Psychiatric Association (APA) wherein much of the criteria used to characterize mania and hypomania are unspecific and open to a broad interpretation. Similarly, the APA’s inclusion of individuals with depression but no history of mania (a definition initially issued to prevent underdiagnosis) has been criticized as being even less specific. The introduction of the "bipolar spectrum," a concept popularly embraced in recent years, allows for even greater flexibility in diagnosis. It assumes, among other things, that individuals with a genetic predisposition for bipolarity can experience "soft" forms of the disease if they do not meet the traditional criteria for inclusion. According to University of Texas research, the consequence of clinical inexperience, coupled with the broad interpretation of the APA guidelines, has led to high rates of overdiagnosis in persons presumed to be bipolar. One study included in the analysis reported that 37 percent mental health professionals with no experience in bipolarity issued an incorrect positive diagnosis. While it would be easy to pin the blame solely on inexperience, the simple fact is that the diagnostic criteria used by treaters are often highly subjective and prone to misinterpretation. This is especially true for children (and even preschool children) who are increasingly being exposed to bipolar therapy. Many argue that the criteria for bipolarity are poorly defined in children and that, unlike borderline personality disorder, there is little evidence to support claims that it has its roots in childhood. Most, in fact, would argue that it is extremely rare in children. Despite this, recent changes in the definition of mania in children now allow for bipolar diagnoses when, in the past, the behavior might have been attributed to ADHD, a learning disorder, or even the child’s temperament. Some have suggested that it’s not just a problem of misdiagnosis. In some cases, parents, teachers, and doctors will embrace a bipolar diagnosis as being a more palatable explanation for a child’s problematic behavior. In this way, any mood or behavioral issues are perceived to have a genetic or neurologic origin for which structured treatment can be prescribed. The same beliefs may drive the excessive diagnosis of bipolarity in adults. We have certainly seen this the popularization of the bipolar spectrum classification, which allows us to place impulse control disorders, personality disorders, anxiety disorders, and some forms of substance abuse under the same bipolar umbrella. Bipolar spectrum lacks widely accepted definitions of bipolarity. The concept blurs the lines between how different disorders are diagnosed, leading to lesser rather than greater diagnostic reliability. The popularity of the concept may lead to "diagnostic creep," a term used to describe the phenomenon where doctors begin to see a disorder everywhere. A bipolar spectrum diagnosis may lead patients and doctors to seek more aggressive therapy to symptoms that may or may not be related to bipolar disease. Proponents, meanwhile, argue that the concept provides a framework by which to identify the driving force behind the various illnesses a person can experience rather than focusing on one or segregating each as individually treated disorders. Medications like corticosteroids, prescribed stimulants, and levodopa (used in Parkinson’s disease) may cause manic symptoms. To exclude these causes, particularly in persons with new and acute symptoms, doctors would ideally perform a battery of tests before offering a diagnosis. They might include a drug screen, imaging tests (CT scan, ultrasound), electroencephalogram (EEG), and diagnostic blood tests. Sadly, in many cases, these are not done, even in places where the risk of misdiagnosis is high. One of the studies reviewed by the University of Texas researchers showed that that nearly half (42.9 percent) of people seeking treatment at substance abuse centers were incorrectly diagnosed with bipolar disorder. 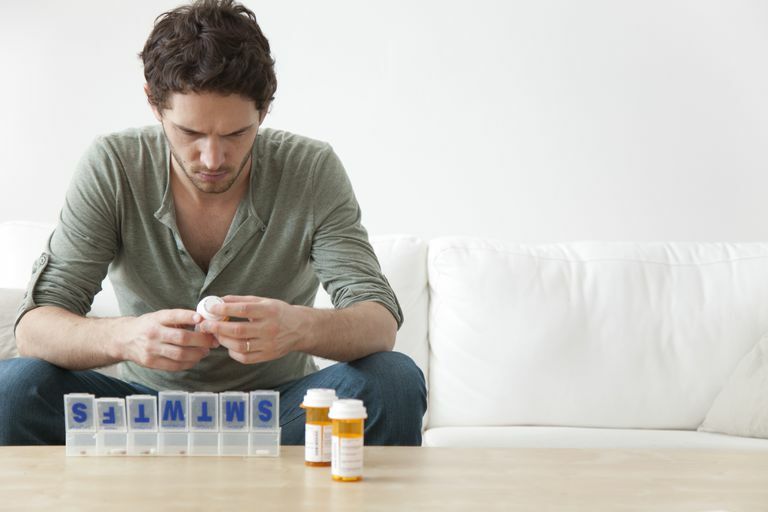 While it’s true that there is a high rate of substance abuse in persons with bipolar disorder, diagnosis is typically made only after the drug symptoms have fully dissipated (which can take anywhere seven to 14 days, or even longer). Oftentimes, bipolar treatment is started well before then. Without such exclusionary assessment, the potential for misdiagnosis and abuse are high. A study released in 2010 showed that, of 528 people receiving Social Security disability for a bipolar disorder, only 47.6 percent met the diagnostic criteria. Dilsaver, S. "An estimate of the minimum economic burden of bipolar I and II disorders in the United States: 2009." Journal of Affective Disorders. 2011; 129(1-3):79-83. Ghouse, A.; Sanches, M.; Zunta-Soares, G.; et al. "Overdiagnosis of Bipolar Disorder: A Critical Analysis of Literature." Scientific World Journal. 2013(2013); Article ID 297087. Merikangas, K.; Jin, R.; He, J-P.; et al. "Prevalence and Correlates of Bipolar Spectrum Disorder in the World Mental Health Survey Initiative." Archives of General Psychiatry. 2011; 68(3):241-251. Miller, S.; Dell’Osso, B.; and Ketter, T. "The prevalence and burden of bipolar depression." Journal of Affective Disorders. 2014; 169(S1): S3-S11. Parens, E. and Johnston, H. "Controversies concerning the diagnosis and treatment of bipolar disorder in children." Child Adolesc Psychiatry Ment Health. 2010; 4:4-9.